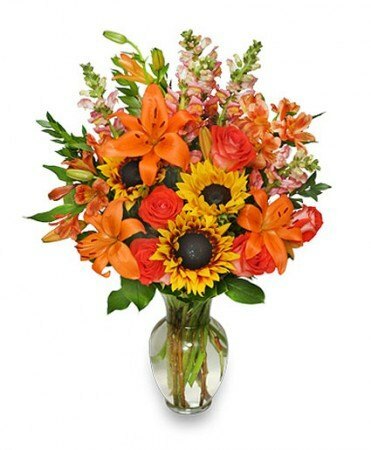 Let the inspiring hues of a Fall Flower Gala bring you warm feelings of friends, family and fall festivities. 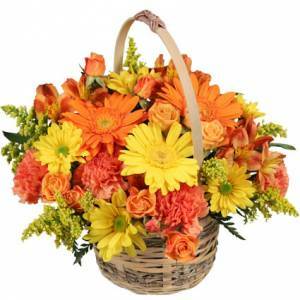 Send this awesome flower arrangement to someone you know and love. 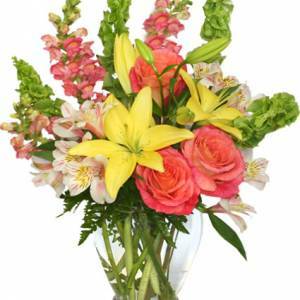 This arrangement is designed in several different colors and styles according to your special needs. Each design is custom, so please give us a call to see what is in season. 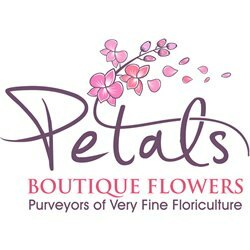 Our 5-Star reviews show we go out of our way to make your flowers special! The Flowers of the Four Seasons are a group of flowers in Chinese art and culture. These flowers represent the four seasons. The orchid for spring and the lotus for summer. Also, the chrysanthemum for autumn and finally the plum blossom for winter.